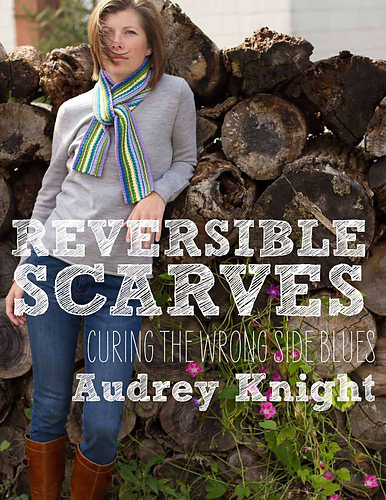 The pattern uses a simple slip stitch technique so that knitters don’t have to learn a new skill to be able to work this double knit pattern. It’s a good pattern for beginning double-knitters, as it’s simple stockinette on each side. 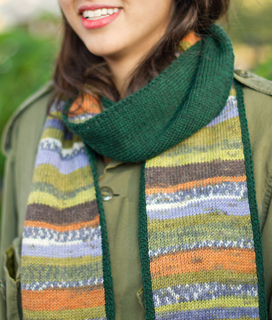 This scarf features a printed sock yarn (sometimes called “jacquard”) on one side and a solid color on the other. By changing up the colorways and dimensions, the scarf can be easily customized for men, women or kids!